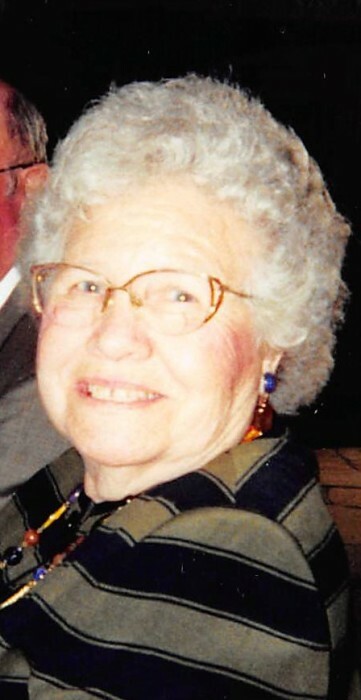 Mary Vayola Gilbert Clapp, 91 of Marysville, IN passed away on Sunday January 20, 2019 at Hampton Oaks Health Campus in Scottsburg, IN. She was born on August 14, 1927 in Franklin, KY, was a member of the Marysville Christian Church, 60 year member of the Indiana Extension Homemakers Association and a 50 year member of the Ella Fisher Blazing Bright Order of the Eastern Star. She was preceded in death by her husband of 66 years David Clapp. Vayola is survived by her children, Ellen Burgin (Doug) of Marysville and Wade Clapp (Nancy) of Indianapolis, IN; grandchildren, Luke Clapp (Anne), Steven Clapp (Brett), Spencer Clapp, Callie Burgin (Tyler) and Blake Burgin (Hannah); sister, Rebecca Martin of Louisville, KY.
Funeral services will be held at 11 am on Friday January 25, 2019 at Grayson Funeral Home in Charlestown with burial in Fairview Cemetery in New Albany, IN. Visitation will be from 4 pm to 8 pm on Thursday and after 9 am on Friday. In lieu of flowers expressions of sympathy may take the form of donations to the Emmanuel United Methodist Church at PO Box 38, 9199 Old State Road 3 Otisco, IN 47163, which was Vayola’s childhood church and family cemetery.